[121 Pages Report] The leather chemicals market is projected to reach $7,963 million by 2019, growing with a CAGR of 7.64% between 2014 and 2019. The leather production process involves several chemical reactions. The basic process is beamhouse process, which mainly includes beamhouse chemicals such as cleansing chemicals and degreasing agents. This is followed by leather tanning, which consumes tanning & dyeing chemicals such as synthetic tanning agents (syntans), fatliquors and dyes. The syntans (synthetic tanning agents) are considered as a substitute for vegetable tanning agents. Tanning operation ensures retaining the physical properties of leather and also helps in maintaining its softness and weather resistance. The final stage of leather processing is leather finishing, which requires typical finishing chemicals to convert crust of leather into the final leather. The major purpose of using finishing chemicals is to bring certain properties to the leather such as water resistance, heat resistance. 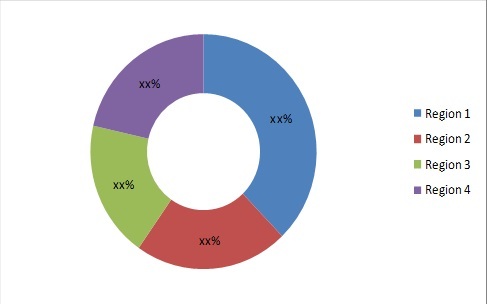 The report covers the global leather chemicals market in major regions namely Asia-Pacific, North America, Europe, and the RoW for three major types, tanning & dyeing chemicals, beamhouse chemicals and finishing chemicals. This report analyzes different marketing trends and identifies the most effective growth strategies in the market. It identifies market dynamics such as drivers, restraints, opportunities, and challenges. Major companies such as BASF SE (Germany), TFL Ledertechnik Gmbh & Co.KG (Germany), Stahl International BV (The Netherlands), Lanxess AG (Germany), Bayer AG (Germany) and Clariant International Ltd. (Switzerland) have also been profiled. This report also includes the leading manufacturers’ profiles such as BASF SE (Germany), TFL Ledertechnik Gmbh & Co.KG (Germany), Lanxess AG (Germany), Stahl International BV (The Netherlands), Bayer AG (Germany), Clariant International Ltd. (Switzerland), Schill & Seilacher Gmbh & Co.KG (Germany), DyStar Singapore Pte Ltd (Singapore) and Elementis plc (U.K.). The leather chemicals market is projected to reach $7,963 million at a CAGR of 7.64% by 2019. Leather chemicals are used at different stages of leather production. The process starts with beamhouse operations, followed by tanning operations. The tanning process can be done by using two methods; vegetable tanning and chrome tanning. The vegetable tanned hides & skins are flexible and are mostly used in furniture. Some chemicals used in the leather manufacturing process such as chromium, are considered as hazardous and banned in regions such as Europe. The regulatory policies set by REACH (Registration, Evaluation, Authorization and Restriction of Chemical substances), on the use of certain chemicals in tanneries has hampered the consumption of leather chemcials. Countries like China, India, Brazil and Mexico have emerged as leading destinations, driving the demand for leather chemicals. The market in developing nations is dominated by tanning & dyeing chemicals. The market in China and India are one of the fastest-growing leather chemicals markets. Rapidly growing footwear, automotive leather apparel and leather goods industries are driving the growth of leather chemicals. The finishing chemicals are specialty chemicals that are consumed at large scale in Europe. Italy is the major market for leather chemicals and is projected to grow with the highest CAGR between 2014 and 2019. The leather goods industry along with apparels industry is driving the growth in Italian leather chemicals market. The global market for leather chemicals is witnessing high growth due to the growing demand for premium quality leather. The Asia-Pacific region dominated the market in 2013, globally. Asia-Pacific is projected to show the highest growth rate of 8.46% between 2014 and 2019, in terms of value for the market. The major types in the market are tanning & dyeing chemicals, beamhouse chemicals and finishing chemicals. The market size in terms of volume was highest for tanning & dyeing chemicals in 2013 and is projected to continue the trend by 2019. The major market players focus on expanding their regional presence while small players are mostly local in nature. The major players are also focusing on capturing market share by introducing new products in the market to enhance their product portfolio, technological knowledge, and regional presence. The leather chemicals market is projected to witness a high growth from developing regions. One of the major challenges to this market is to find an alternative to the hazardous chemicals used in leather processing. The report analyzes the market based on major types and regions. It also covers the market behavior of leading producers, key developments, and strategies implemented to sustain and succeed in the market. 10.8 Dystar Singapore Pte Ltd.